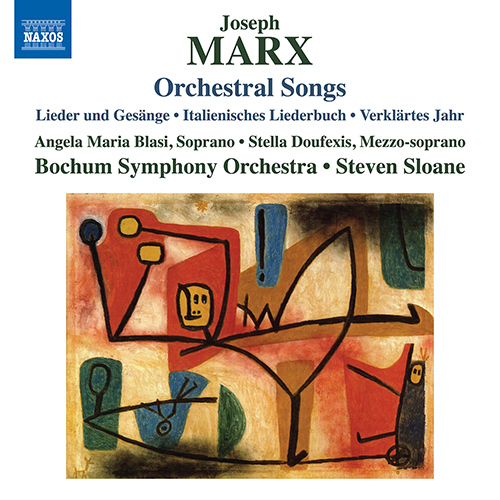 Joseph Marx’s distinctive style is characterised in these songs by dazzling, colourful harmonies and a remarkable melodic richness that, coupled with his sensitive setting of the texts, results in some of the composer’s finest works for voice and orchestra. Recurring themes of love and longing are encapsulated in one of Marx’s earliest songs,Â Hat dich die Liebe berÃ¼hrtÂ [track 1], and moods of cheerful serenity, profound earnestness and amusing operetta-like lightness are all explored elsewhere. 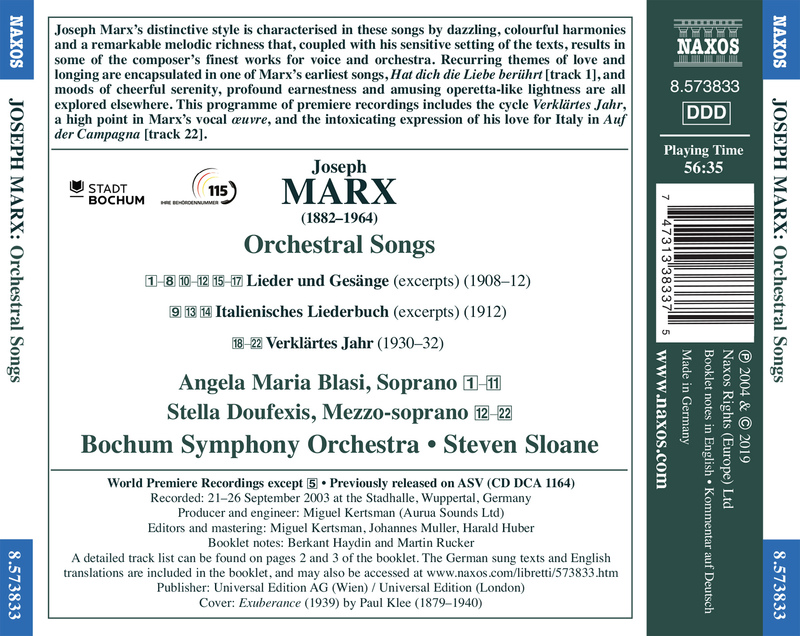 This programme of premiere recordings includes the cycleÂ VerklÃ¤rtes Jahr, a high point in Marx’s vocalÂ oeuvre, and the intoxicating expression of his love for Italy inÂ AufÂ der CampagnaÂ [track 22].